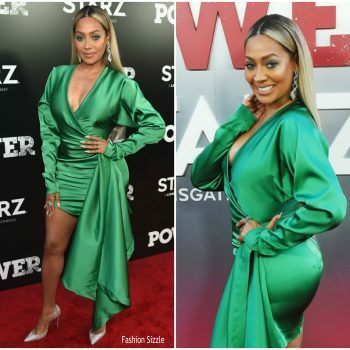 La La Anthony attends the "POWER" Season 5 Premiere at Radio City Music Hall on June 28, 2018 in New York City. She is wearing a green Greta Constantine dress and Lorraine Schwartz jewelry. 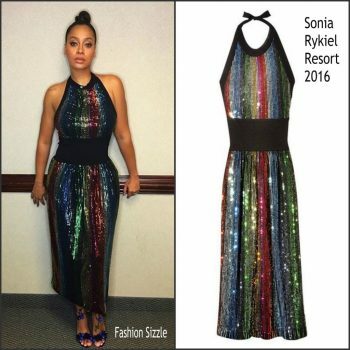 La La Anthony was in attendance at the Z100′s 2016 Jingle Ball at Madison Square Garden on Friday night (December 9) in New York City. 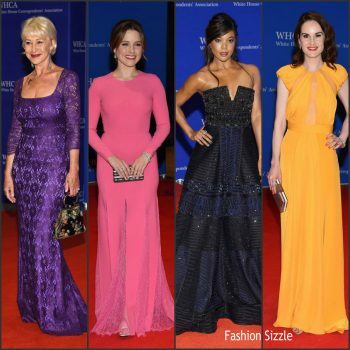 She wore a black Thai Nguyen Atelier Spring 2017 "Sofia" beaded cocktail dress. 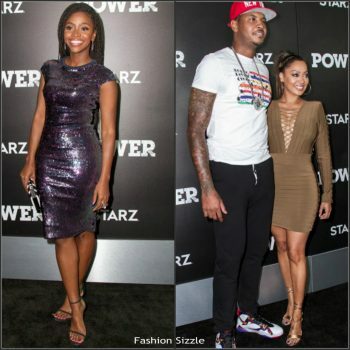 Teyonah Parris and La La Anthony attended the Starz 'Power' TV Series Season 3 premiere at the SVA Theatre in New York on Tuesday June 21, 2016. 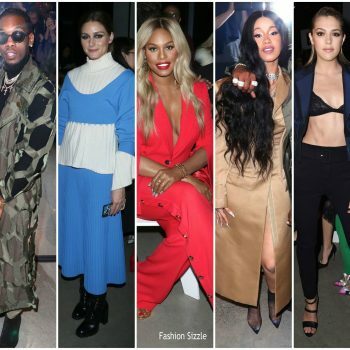 Katie Holmes, Chloe Sevigny and La La Anthony were in attendance at the Chanel Tribeca Film Festival Artists Dinner at Baltazhar Restaurant in New York yesterday Monday 18 , 2016. 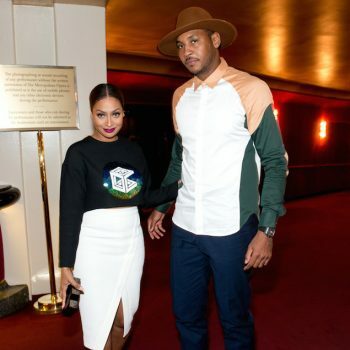 La La Anthony seen heading to Madison Square Garden for the New York Knicks vs Cleveland Cavaliers basketball game on March 29, 2016.